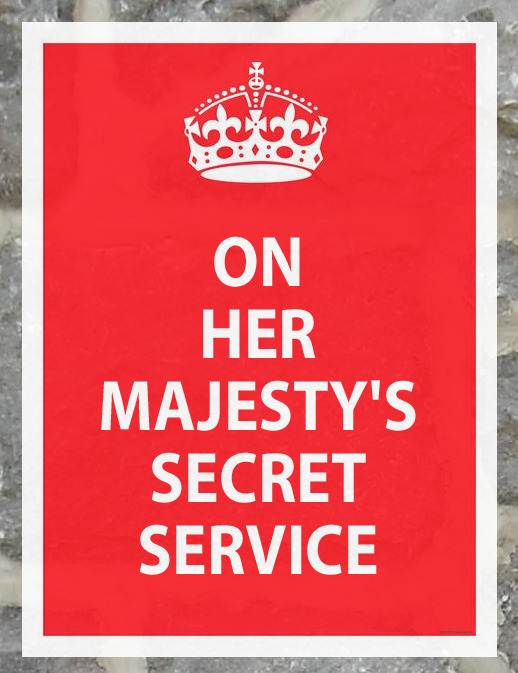 We have Skyfall Fan Posters. 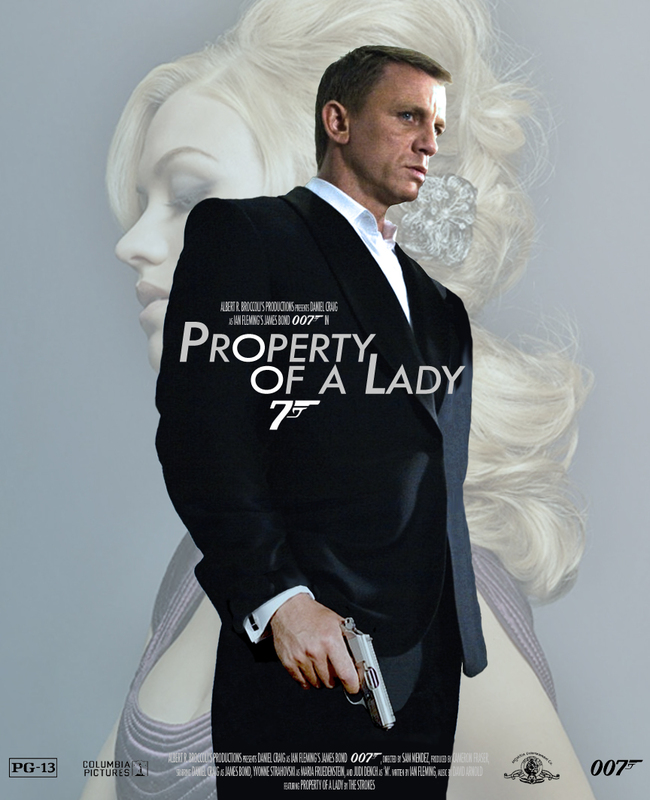 This one is for general movies posters posting (LoL), all Bond movies fan posters can be posted here. Like, general Bond movies, or general movies in general, General? Please just make it general movies. We don't have a thread for that. And you'll be safer with the mods. 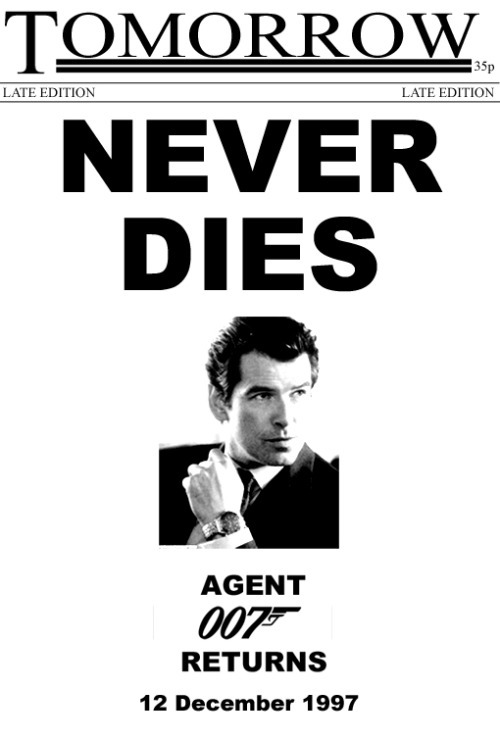 u should make the diamOnds are fOrever just as quantum Of sOlace logo. 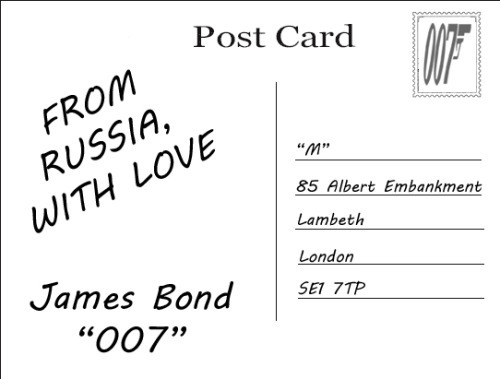 This one is not about the Bond movies actually, but about it's Fan Posters. May attempt that on a Quad version - just for you. I plan on doing a bond 24 one for The eye that never sleeps but it's finals weeks and i have 2 papers to write. @RC7: That was an epic poster of DAF! I thought the tagline was "Living on the Edge". What you wrote just makes him sound like he drove his car over a cliff. Other than that, it looks nice. Both of these are excellent! @RC7 That. Is. SO. Amazing! I agree, as much as I love DAF I'd love to see what might have been. Especially if Hunt had returned to direct. IMO, Hunt was a great director. Had Lazenby done a second Bond with Hunt, they would both have grown in their respective roles, I'd think. Whatever this OHMSS² might have been - perhaps a revenge plot infused DAF - I'm fairly confident it would have been a tremendous film and who knows, Lazzers might have stayed on for a few more. I think DAF with Lazenby would have been great! @JCRendle: Those are very clever! Love the LTK one. 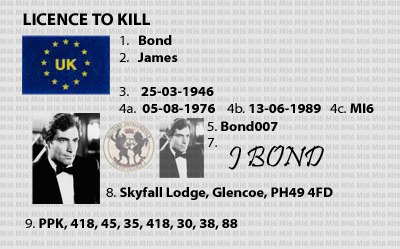 I like to think Bond has to carry this in his wallet by law.